Noragami Episode 12 (Final): Is that a proposal? Well, that went mostly as expected. Rabo is dead and Hiyori has her memories back. Also, Nora is still at large and remains an unresolved issue. As expected, there is more to her than the fight with Rabo. 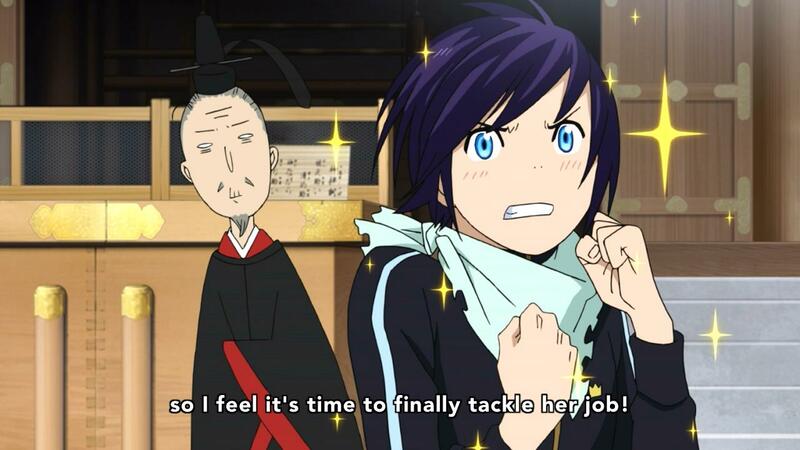 Is the “father” she referred to in the episode supposed to be another god that has a problem with Yato? Not really what you could call an ending. So many things remain unresolved, so it’s more like it begs for another season. In all, I’d say this show was one of the better shows of the season, but that might just be because of how reminiscent of Rurouni Kenshin it is. For example, this fight against Rabo was basically the same as the battle against Jin-e in Rurouni Kenshin, but I won’t dwell too much on that. Hopefully it gets a proper ending somewhere down the line, but we’ll see. Author marthaurionPosted on March 24, 2014 Categories NoragamiTags ayakashi, gods, regaliaLeave a comment on Noragami Episode 12 (Final): Is that a proposal? Noragami Episode 11: More memory loss! You know, for a little bit, I was wondering whether Nora had used a similar memory removal on Yato to make him who he is today. But then she revealed that Hiyori’s memory loss was continuous, so there’s no chance that happened to Yato. It was a stretch anyway, because then there would have to be a reason she didn’t give him the memory back since she seems to want him to have it. Author marthaurionPosted on March 17, 2014 Categories NoragamiTags ayakashi, regaliaLeave a comment on Noragami Episode 11: More memory loss! Looks like Nora’s made her move by taking Hiyori’s memories of Yato to keep her away from him. Interesting that she’s able to control ayakashi. Based on what we saw in the episode, though, that may just be an extension of Rabo’s abilities. They seemed linked to a mask similar to the one he was wearing. This is assuming Nora didn’t originally put the mask on him, though. Based on what Tenjin told Yato, he may initially accept Hiyori’s condition as okay since it may help to fix Hiyori’s half-ayakashi situation. From the preview, it doesn’t really look like that will be the case, though. Also, it looks like he’ll be initiating a fight against this Rabo next week. We’ll see how that goes. I’m more curious about what Nora’s role will end up being. Looks like Yukine’s at the tipping point. I guess Yato was hoping that he would turn around on his own like the boy in this episode, but it turns out he should have told Yukine about the blight from the start. Surely this will be enough to make Yukine get over himself. He’s been pretty annoying lately. 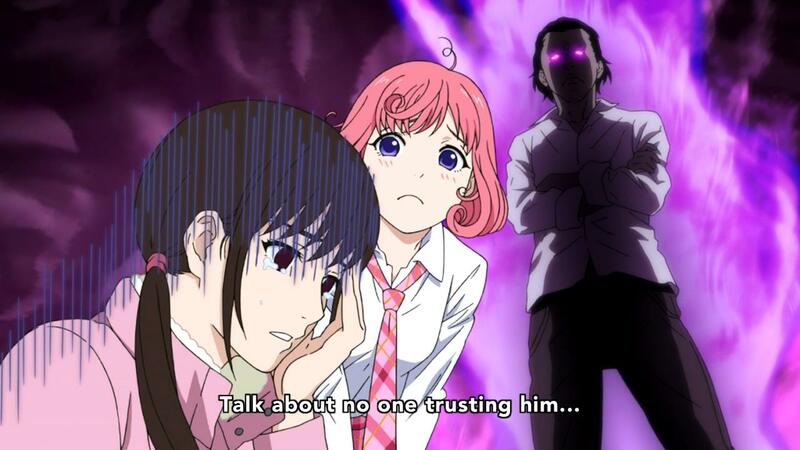 Next week, it looks like Yukine continues turning and Daikoku and Kofuku will have to keep him contained. The way things are going, I’m curious whether he’ll become a half-ayakashi like Hiyori is. As if they needed any more reason to get along. I’m also curious how Nora will factor into all of this. I don’t expect Yukine’s troubles to last more than next episode or the episode after that. We’re getting close to an ending…so far it looks like it won’t be conclusive. So if Nora is actually a rejected Regalia, there are two possibilities I’m currently running in my mind. The first theory, the theory that she is some sort of ghost of the Regalia that Yato killed is looking pretty weak now. My second theory is simpler. She’s just the Regalia that was used to kill Bishamon’s Regalia, which is why Yato has rejected her and refuses to use her. That’s my current working theory. But the focus so far is mostly on Yukine, who is slowly being corrupted and is eating away at Yato. It looks like Yukine will be going to school next week based on the preview. If I had to guess, he’ll make a few friends and probably get more angry with Yato because he interferes with it for godly reasons or whatnot. 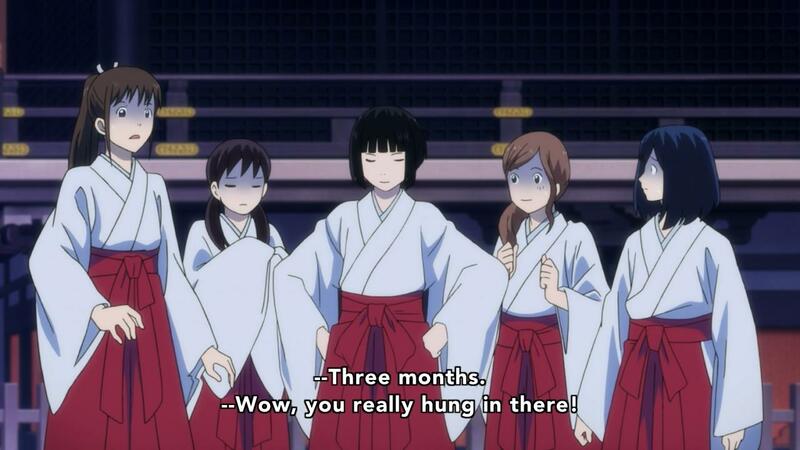 Noragami Episode 6: Wait, Hiyori is actually useful? 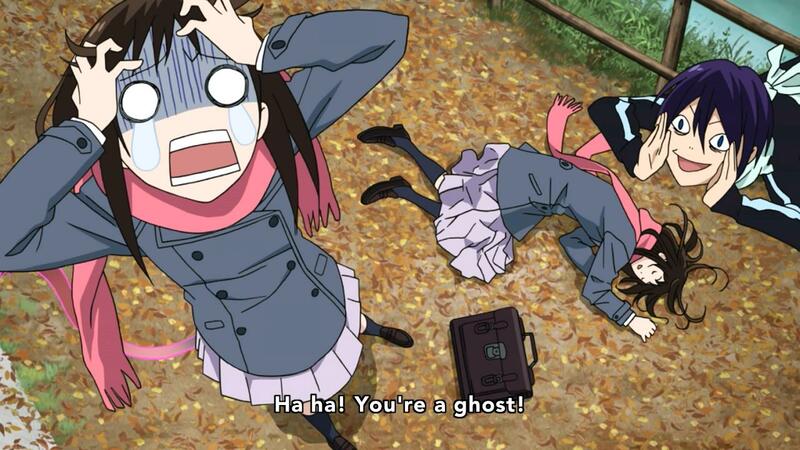 I guess Hiyori has a bit of tracking that she can do to be useful for Yato. We’ve also been introduced to Bishamon, the god whose Regalia was originally killed by Yato. All of this is fairly straightforward, but it’s still unclear who exactly Nora is. She was willing to help Yato in the fight against Bishamon, but I would have expected Kuraha to recognize her if she really was some lingering form of the Regalia that Yato killed. It’s possible she’s just some other Regalia that Yato once used and abandoned. I suppose the main focus of the next few episodes is this “blight” that’s afflicting Yato. Is it just from Yukine or is it leftover from one of battles against the Ayakashi? It also looks like Kazuma will make some sort of request of Hiyori. Judging by his behavior in the battle against Yato, he may be trying to end the fight between Yato and Bishamon altogether. Author marthaurionPosted on February 10, 2014 Categories NoragamiTags gods, yatoLeave a comment on Noragami Episode 6: Wait, Hiyori is actually useful? 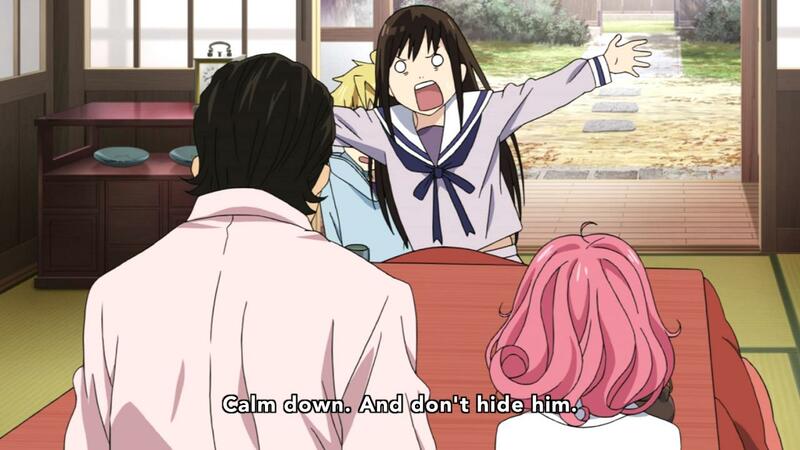 Noragami Episode 5: Now what will Yukine do? Well, this should make things interesting. Apparently, Yukine is wimpy enough to be afraid of the dark. Also, Yato has killed the girl that he asked him to save. That should bring some more tension into an already-tense relationship. Honestly, I was expecting Yato to say something like “if you kill the Ayakashi, the girl’s spirit is sent to heaven” or something like that. He still could, I suppose. It looks like next week, the woman from the opening shown fighting Yato will show up…to fight Yato. There’s also an interesting scene in the preview where Yukine has a crazy expression on his face. Yato did say at the beginning that Regalia are generally created from pure spirits. So is this the start of Yukine’s corruption? This should lead into finding out why Yato killed his other Regalia, I assume. Author marthaurionPosted on February 3, 2014 Categories NoragamiTags gods, regalia, yatoLeave a comment on Noragami Episode 5: Now what will Yukine do? Noragami Episode 4: New characters! Okay, so the Regalia lurking in the shadows last week wasn’t Tomone. They all look the same. It looks like this Nora has a strange attachment to Yato. 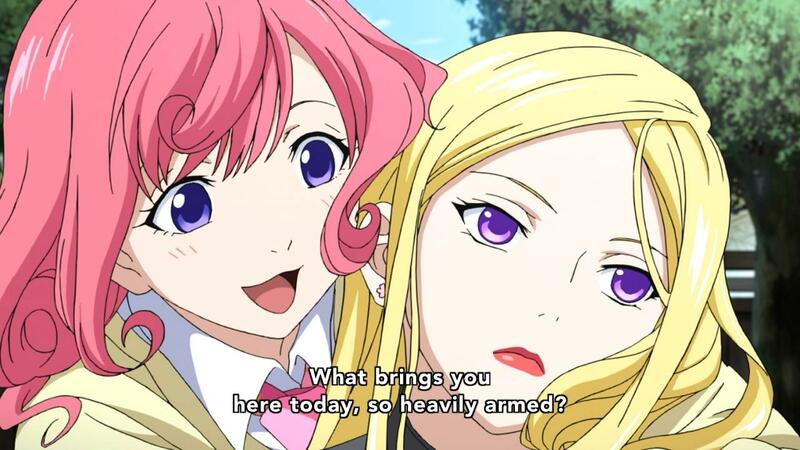 Based on context, she’s probably the Regalia that Kofuku claimed Yato killed. But if so, why is she still lingering around? Yato seems to have quite the dark past. I think with this episode, this series basically just turned into Rurouni Kenshin, but we’ll have to see. Not sure what to make of the preview for next week. It looks like maybe more stuff with Yukine? I guess the cast is still getting settled. I’m so curious about Yato’s past now. Hopefully it isn’t too much of a letdown (or a copy lol). Well, so far I have some pretty high hopes for this show. Author marthaurionPosted on January 28, 2014 Categories NoragamiTags gods, yatoLeave a comment on Noragami Episode 4: New characters! 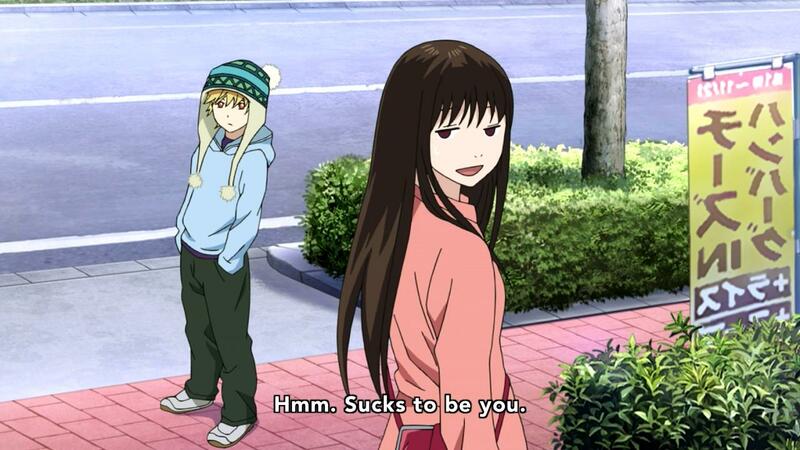 Huh…I expected Hiyori to be much more annoying once Yato got his Regalia. She hasn’t forgotten, but she’s no different than she was before. Maybe she doesn’t actually notice all that much. Anyway, another day another Phantom, I suppose. It looks like Tomone/Mayu has come back as a recurring character. But was that her watching Yato and Yukine from the shadows at the very end of the episode? Is that supposed to indicate future antagonism or will she once again join Yato? It looks like another new character will be showing up next week. It may just be a client, but maybe it’s another god or something. Nothing too exciting’s been happening in this show so far. It looks like Yato finally got another weapon he can use in the form of Yukine. It looks like the Regalia (or Sacred Treasure…figure yourselves out, translators) are all pretty rebellious people. 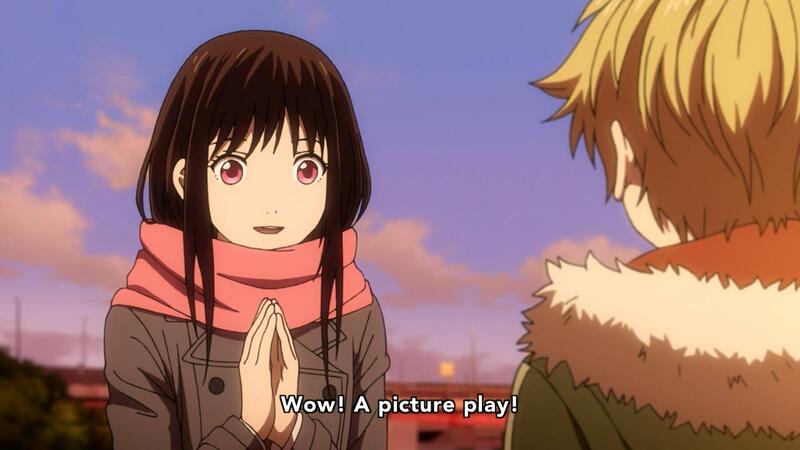 It probably has something to do with how Yato first gave Yukine his form. It was almost like he found a random spirit and forced him to help. I’d be pissed too. Especially with a god like Yato, Yukine will basically have to join him in his homelessness. It looks like Yukine has a troubled past anyway, so he’ll probably be alright. Anyway, now that Yato finally has a Regalia, Hiyori can be a lot more annoying about her request to him to return to normal. Now that she knows that her life is in danger when in spirit form, I’m sure she won’t let Yato have a free moment. From the preview, it looks like next week might be more on Yukine or something? Maybe he’ll become more willing to help Yato out?